sunshine and whimsy. 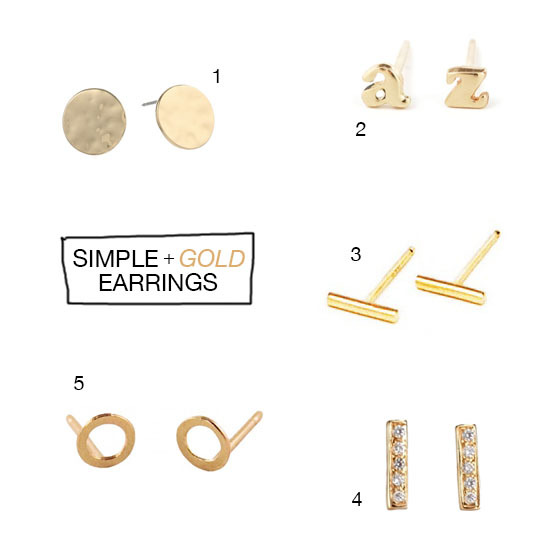 : simple + gold earrings. I used to be all about fun, big, colourful or silver earrings. I was not a fan of gold. But lately, all I want to wear are simple gold stud earrings. Nothing too crazy or dangly. I usually buy my earrings cheaply, packs from H&M for example. But I'm starting to think I should invest in a couple of nice pairs. Treat myself. Plus, I'm a grown-up now; it's time I wear grown-up jewelry, right? Really, my taste is just changing.